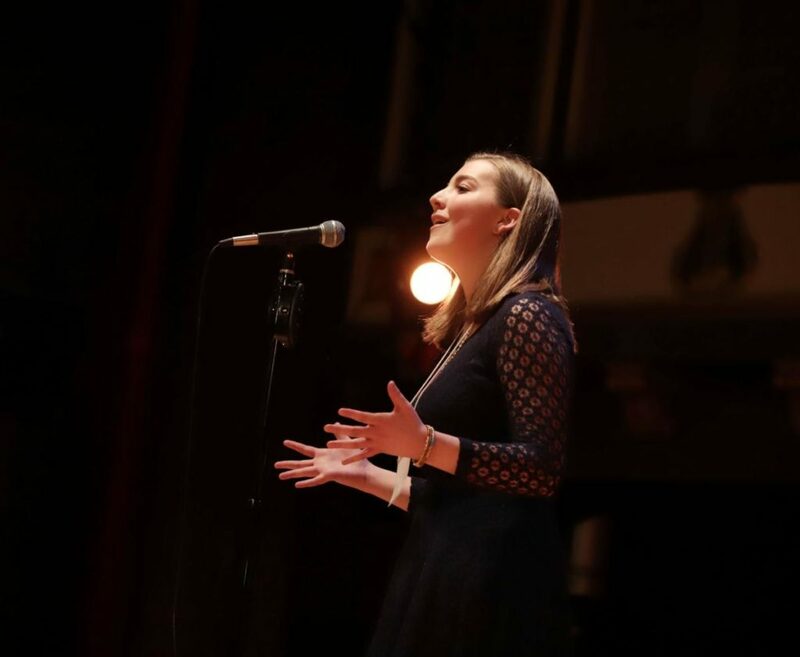 Anna Kahle, a junior at Lima Central Catholic High School, was named the 2019 Ohio Poetry Out Loud (POL) state champion March 8 at Ohio’s 14th annual POL state finals competition on March 8. Anne Kahle’s winning performance consisted of a recitation of three poems: “Enough” by Suzanne Buffam, “Early Affection” by George Moses Horton and “Now I Pray” by Kathy Engel. Amanda Etchison writes on the Arts Ohio Blog: “Of the three poems she selected, Kahle said she favors Engel’s “Now I Pray,” which she recited in the second round of competition. The poem depicts the narrator’s encounter with a homeless man and a boy searching for a church that might offer them a meal. Anne Kahle will be traveling to Washington, D.C., from April 29 to May 1 to represent Ohio at the Poetry National Finals. We wish her the very best of luck! Read more on Hometown Stations and on the Arts Ohio Blog.